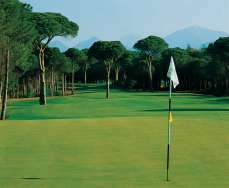 Cornelia Diamond Golf Resort & Spa is located right across the beach of Iskele Mevkii which is a fine part of the glorious Belek Shore and is approximately 35 km. from the airport and 45 km. from Antalya city-center. Diamond All Inclusive Concept is extensively built on meeting all and any wish or alternate requests that can ever be placed by our guests. 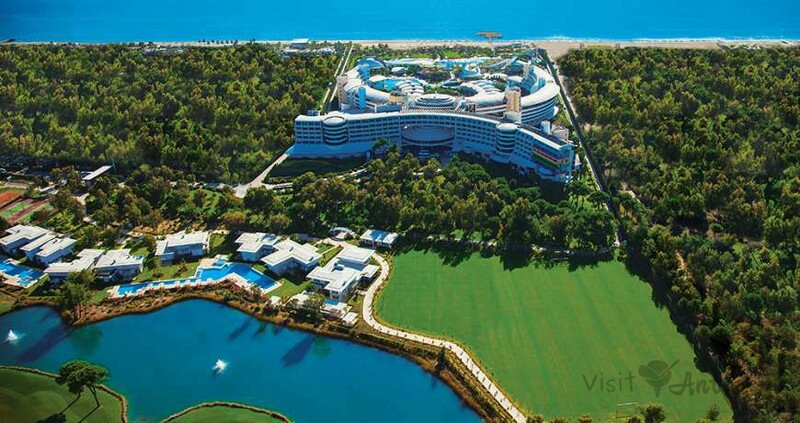 hotel consists of 571 rooms and a total area of 200.000 m2 to meet specific demands and preferences, these rooms are of a large variety such as different types of suites and villas with direct/private access to a swimming pool and then rooms with the same option and even rooms that open to their own garden terraces. Prices are per night and per person. Early booking discount is included 10 % untill 31/03/2014. Each room with; 1 bedroom, bathroom, hair dryer, central air-conditioning, direct dial telephone, internet connection, pay TV, interactive & satellite LCD TV with music channel, sofa, coffee table, mini bar, safe box, balcony and carpet floor. Each room with; two bedroom (with connecting door), 2 bathrooms (1 bathtub and 1 shower), hair dryer, central air conditioning, direct dial telephone, internet connection, pay TV, interactive & satellite LCD T.V with music channel, sofa, coffee table, mini bar, safe box, terrace and carpet floor. Garden view in the main building. Main Building / in garden 1 french bedroom and 1 twin bedroom with connection door. Main Building , 1 french bedroom and 1 twin bedroom with connection door. Each room with; two bedroom (with connecting door), 2 bathrooms ( 1 bathtub and 1 shower), hair dryer, central air conditioning, direct dial telephone, internet connection, pay TV, interactive & satellite LCD T.V with music channel, sofa, coffee table, mini bar, safe box, terrace with chaise loungues and umbrella, direct access to pool, garden and pool view in the main building. Kitchen (cooker, fridge, basin) Living room (1st floor) in the entrance on the left- Dining group for 6 persons, sitting group (leather), LCD TV, chaise lounge and umbrella on the terrace and a work desk. Bedroom (1st floor)- twin bed, LCD TV, mini bar, chest of drawers, bathroom (shock shower and lavatory). Bedroom (2nd floor)- twin bed, LCD TV, mini bar, bathroom (Jacuzzi, shock shower and lavatory), table and chairs on the terrace. Bedroom (2nd floor)- french bed, LCD TV, mini bar, safe box, chaise lounges in the terrace, bathroom (Jacuzzi, shock shower and lavatory). Every room with; hair dryer, central air conditioning, direct dial telephone, internet connection, pay TV, interactive & satellite LCD T.V with music channel. “Diamond All Inclusive” Service will meet all your expectations from a holiday including welcome champagne (sparkling wine) or fresh orange juice and fruit plate in all the rooms upon arrival, all rooms with bathrobe and slippers. 24 hour Room Service (10,-EUR/per order). All rooms are equipped with central air-conditioning, hair-dryer, telephone, bathtub and shower, mini-bar, internet connection, interactive & satellite LCD TV with music channel, Pay TV (movie selection of recent day-to-day films). 2 amphitheatre (indoor / outdoor), covered and sheltered parking lot (cap: 50 cars) and an outdoor parking lot (cap: 100 cars). There are 1 Main restaurant, 1 Snack Restaurant, 10 bars (according to weather conditions) and 9 A La Carte Restaurants including various concepts from international cuisines. There are totally 8 pools with 12.000 sqm area including Indoor pool (heated), aquapark pool, open/closed children pools and 3 Jacuzzi. Fitness Center, Children World, Shopping Street, Dry Cleaning Service, Hair Dresser, Doctor Office, Rent a Car, Crassula Spa and Wellness Center (5000 sq.m area), Convention Center with 7 different size meeting rooms (max capacity of 2000 person), billiards, bowling (4 lines), Fun World, Internet cafe, wireless internet in public areas and Convention Center, 10 tennis courts (2 hard court, 7 clay court, 1 artificial grass court), water sports and all day long entertainment activities are some of the services offered. Animals are not allowed. 250 m length, 55 m wideness 1150 sqm quay area. Motorless water sports: Wind surf (only with licence), canoe, water bicycle are free of charge with reservation. Motorized water sports: Jet ski, parasailing, water slide, banana, ringo etc. is with extra charge. Table tennis, beach volleyball (1 pitch), water ball, archery, boccia, mini football, basketball, dart, Fitness Center, badminton, shuffleboard. Professional aerobic program; cardio, yoga, Pilates, water aerobic, step, dance aerobic, stretching lessons. Archery Program: Archery lessons are given in a special place with original archery equipment and free of charge. Lessons may be changed according to the weather conditions. Fitness Center: consist of three different area. Cardio group (70msq.m) – 3 treadmill, 4 condition bicycle, 1 Wave (legs). Body Building (100sq.m) – in total there are 17 simulators, Dumbells and Disks of different weights. Aerobic Salon (45 sq.m) – step, aerobic, Pilates activities. 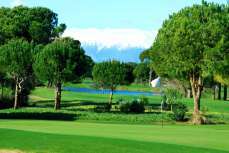 Golf	: Cornelia Golf Club Nick Faldo Championship Golf Course with 27 hole. 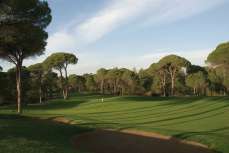 Our hotel is approximately 2 km away from other golf courses in the neighbourhood. Reservations may be arranged to other golf courses upon request. International David Leadbetter Golf Academy for guests. Squash	: Open 10:00 - 20:00. With reservation, free of charge. Snacks, salads, fruit and soup selections. There are 10 bars in total. Two bars are open 24 hours / local and import drinks. Beverages are served in all bars and restaurants by waiters. All local drinks, fresh and concentrated fruit juices, soft drinks, hot drinks, wines (different kinds of Turkish table wines red, white, rose). All standard quality import drinks (legally imported to Turkey) including J.Walker Black Label and Chivas Regal 12 years old from Premium whiskies. 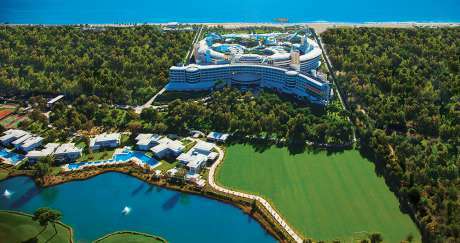 Motorless water sports (wind serfing with certificate, canoe, water bicycle), fitness center, Turkish bath, sauna, Spa Relax (indoor pool, tropical Jacuzzi with adventure footpath, aromatherapy-relax and traditional Russian saunas, steam room, showers with aromatherapy and chrome therapy). Daily entertainment activities, shows, disco, garden parties, water world, live music, mini club, fun fair, table tennis, beach volleyball, basketball, squash, archery, hard ground tennis courts, play station, wireless internet in public areas. Premium import liqueurs / Grand Marnier, Drambui, Countreau, Irish Mist etc. Massage and peeling in Spa Relax section.